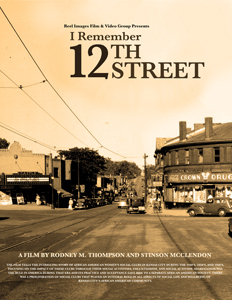 “I Remember 12th Street” is a documentary film about the history of Kansas City’s storied 12th Street, the subject of song and jazz legends, as told through first hand accounts by people who lived through one of the most fascinating periods in the city’s history. In Kansas City, Missouri, from the 1930’s to the 1960’s, 12th Street was the center of life in a thriving African American community. The street was home to commerce and entertainment. This is where legend was born. But, this is the story of a street, not just musically but as the place that sustained and shaped Kansas City’s African American community during its formative years. Interested in getting your story told? Contact us!